CAMDEN, N.J. – An Atlantic City, New Jersey, man was sentenced today to 30 months in prison for assisting members and associates of an organized crime family in a fraud scheme, U.S. Attorney Paul J. Fishman announced. John Parisi, 54, previously pleaded guilty before U.S. District Judge Robert B. Kugler to conspiring to defraud FirstPlus Financial Group Inc. (FPFG), a Texas-based financial services company targeted for extortionate takeover and looting by a group led by Nicodemo S. Scarfo. Judge Kugler imposed the sentence today in Camden federal court. 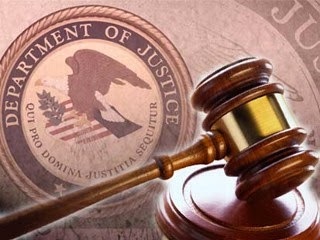 Parisi and 12 others – including his cousin, Scarfo, an alleged member of the Lucchese La Cosa Nostra (LCN) crime family, and Salvatore Pelullo, an alleged associate of the Lucchese and Philadelphia LCN families – were variously charged in a November 2011 indictment with a racketeering conspiracy, including acts of securities fraud, wire fraud, mail fraud, bank fraud, extortion, interstate travel in aid of racketeering, money laundering and obstruction of justice. The indictment charged that FPFG was targeted for extortionate takeover and looting by a group of the conspirators. A substantial part of the enterprise’s activities occurred in New Jersey, including communications and the transfer of money into and out of the state. John Parisi admitted that he joined the conspiracy in April 2007. Parisi managed a family trust and a limited liability company on behalf of Scarfo as part of the scheme to defraud FPFG. Parisi said Scarfo directed him in the use of various bank accounts through which Scarfo received hundreds of thousands of dollars between July 2007 and April 2008 as part of the scheme. As alleged in the indictment, the money involved proceeds of the fraud that Scarfo allegedly received as part of a fraudulent “consulting” agreement between his shell company, Learned Associates, and one controlled by Pelullo. The money also involved proceeds received from the fraudulent sale of Scarfo and Pelullo’s worthless companies to FPFG in 2007. The receipt of the fraudulent proceeds often occurred in the form of wire transfers from accounts in Pennsylvania to accounts in New Jersey. Parisi admitted that beginning in February 2008 he assisted Scarfo and his then-fiancée, Lisa Marie Scarfo, obtain a mortgage for a $715,000 house in Egg Harbor Township, New Jersey, that the Scarfos intended to purchase. Lisa Marie Scarfo pleaded guilty on Sept. 17, 2013, to a conspiracy to make a false mortgage loan application in connection with the purchase of the Egg Harbor Township house. In addition to the prison term, Judge Kugler sentenced Parisi to two years of supervised release and ordered him to pay $14 million in restitution. Scarfo, Pelullo, and William and John Maxwell were convicted in convicted in July 2014 of racketeering conspiracy and related offenses, including securities fraud, wire fraud, mail fraud, bank fraud, extortion, money laundering and obstruction of justice, after a six-month trial before Judge Kugler. Scarfo and Pelullo were previously sentenced to 30 years in prison. William and John Maxwell were previously sentenced to 20 and 10 years in prison, respectively. U.S. Attorney Fishman credited special agents of the FBI in Newark, under the direction of Special Agent in Charge Richard M. Frankel, with the investigation leading to today’s sentencing. They also thanked the U.S. Department of Labor-Office of Inspector General’s Office of Labor Racketeering and Fraud Investigations New York Region, the FBI’s Philadelphia Division and the Bureau of Alcohol, Tobacco, Firearms and Explosives for their roles in the case. The government is represented by Assistant U.S. Attorneys Steven D’Aguanno and Howard Wiener of the New Jersey U.S. Attorney’s Office Camden Office.